The Connacht Hotel is located just a few minutes drive from the vibrant city of Galway and is the ideal destination for a business or leisure trip. Galway is well known for its great shopping and good food with plenty to see & do, including a great nightlife of dancing, concerts, funfairs, festivals and much more. 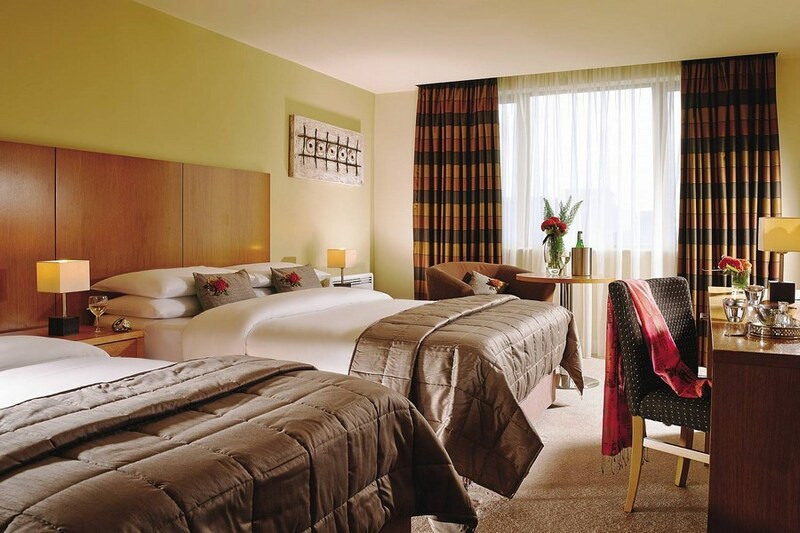 With a choice of 363 spacious and contemporary bedrooms and suites, the The Connacht Hotel offers something to suit all. Choose from king, twin, interconnecting rooms or upgrade to a work-zone or one or two bedroom family suites. 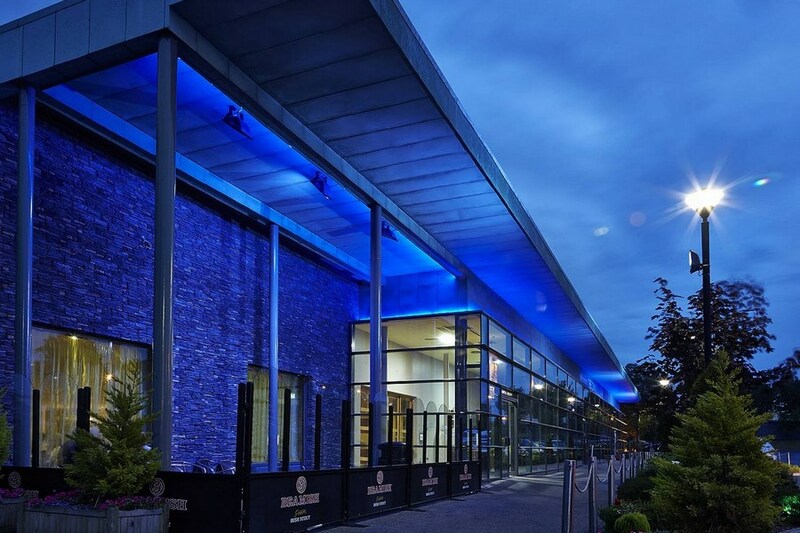 As well as a great accessible location the hotel also offers free parking, free Wi-Fi, extensive leisure facilities, a choice of two onsite restaurants, Bar Solo with Sky and Setanta Sports and the Connacht Kids Club. Coming from Dublin on the M6 bear left at the roundabout (first exit) and follow the signs to Docks and Galway City East. The Connacht Leisure Club is the perfect place to unwind during your stay and offers a 20 metre pool, sauna, steam room and Jacuzzi. For those who are feeling energetic the extensive gym at the Leisure Club offers a variety of top of the range Cybex equipment. Guests can also avail of a treatment in the luxurious aromatherapy and reflexology suite. The Kids Club is open most weekends and during school holidays and provides supervised fun-filled activities for children aged between 3-15 years (an additional cost applies for this facility).The kids club gives parents some well-earned relaxation while the children are having a great time! The Kids Club team is fully committed to safeguarding the well being of all children and the success of the programme is based on their enthusiasm, good humour, patience and encouragement to ensure full participation in the activities. Lovely hotel. Room clean and comfy bed, staff friendly and helpful. My God, what a fantastic breakfast, such choice. Bus stop to city about a 5min walk from hotel. Very convenient. Would definately stay again. Excellent is the only word I can use for The Connacht Hotel. I attended with my family and spent two days one night in the hotel, very spacious rooms, kids loved the swimming pool which was warm and comfortable, breakfast and evening meal were delicious and the service was pretty fast despite the hotel being completely full. Definitely will be returning to The Connacht on our next visit to Galway. Very happy with our stay in The Connacht hotel. Hotel staff, food and rooms very nice. Will visit again. Seriously could not recommend this hotel enough. The venue, the food, the staff all fantastic, we will definitely be back! Great hotel lovely helpful staff stayed there with my family & would highly recommend to anyone also very child friendly thank you connaught hotel! Great hotel with a good atmosphere.Staff very friendly and accommodating. I would recommend this hotel for a stay. I stayed with my family and the staff were lovely & friendly, there was a kids club which the kids enjoyed, breakfast was lovely. I could not fault this hotel in any way, very enjoyable stay. Great value! Clean and comfortable, great food, friendly staff, kids loved it. Enjoyable stay at The Connacht. Very friendly and helpful lady on reception as we checked in. Lovely clean room. Great music in the bar on Sunday night and a lovely breakfast with a great selection of food. Overall 10 / 10. Chaotic, delays for sub standard breakfast,delays on checking out,generally not impressed,probably need more staff during peak times. Reception staff were very friendly cant fault them but were under pressure on check out. Breakfast needs to be reorganised to avoid delays. Had a one night stay at the Connacht Hotel, the staff were very nice and welcoming plus the rooms were very clean and the breakfast was very nice. Would definitely stay there again and recommend to anyone looking for a place to stay. I stayed with my family for the weekend. The girls were 16. They really enjoyed the leisure centre and swimming pool. They remarked how friendly and helpful the staff were. My husband and I thought the rooms were comfortable, clean and spacious. The girls at the reception desk were very obliging and helpful. We really enjoyed out stay and will definitely return to the hotel. The taxi service is excellent and the hotel is only 5mins away from Eyre Square. The hotel location was good, with the regular bus service into Galway it was easy to commute there on an evening. Ideal place to stay if you are wanting to drive to other places such as Connemara National Park, which is well worth a visit. The hotel room was clean, very comfortable and lovely and warm for a good night sleep! The leisure facilities were average, pool was a good size but we felt it was unnecessary to ask customers to wear a swimming cap. The breakfast was nice, though the honey provided was watered down. The dinner in the restaurant was good value for money and tasty. The Thai Green Curry was delicious! Staff were friendly and helpful. Room was clean and front line staff very friendly. However when we asked if we could get a pancake for our 4 year old who doesn't eat sausages etc, we were told that "Chef was too busy" which was disappointing in this day of age. Lovely hotel, rooms very comfortable. very friendly staff. We had her dinner there in the bar. Lovely bar/carvery. Will definitely stay again. had a great weekend in The Connacht hotel, room was lovely spacious & warm. Bed was really comfy. We had a short stay at the Connaught arriving late to the hotel i.e.12.30 am but we were made very welcome by the staff on reception at that time,the rooms were super clean and comfortable .The breakfast was excellent as was value for money.Definitely recommend hotel all around. **** Very comfortable beds and good size bedrooms. Staff very friendly and professional. Food very good.Great entertainment in bar. Bar staff very friendly. Very enjoyable stay, nice room and welcoming staff. Would stay again. Have just stayed 2 nights with my husband for a break. Really enjoyed it .Leisure centre top class. Great choice of food for breakfast except the juices from juice machine could only be described as water. Jugs of real orange juice would be way better. Bar lovely great atmosphere with loads of space. Staff very friendly. When I asked we got an upgrade which was lovely and spacious with little kitchen. Already had stayed at Christmas time with my 3 friends to go shopping ,that is why I came back. On that occasion when we arrived in the morning we had fabulous scones in the bar area before we headed into the city. Great bus schedule from outside hotel. 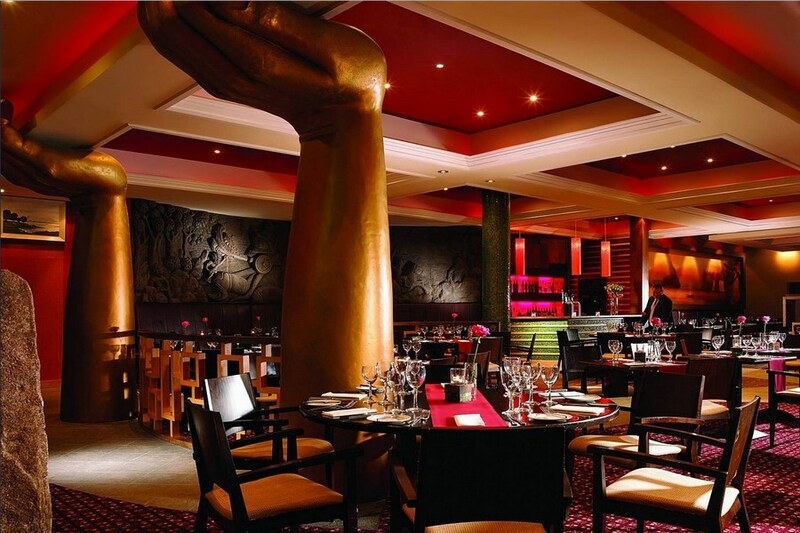 This hotel is great for families, it is clean, spacious and the décor in the bar is fab. We went on a family break, the children loved the kiddies pool and the bubble pool. The bar served food all day and the restaurant food was top quality. The Staff were very helpful and friendly. It is a short walk into Galway city and very close to a cinema. We really enjoyed our stay and we will be back. We had excellent room. The Kids club was super and gym/swimming pool were very good too. Stayed in this hotel 17 yrs ago and can only say it has imporved imensely since. Very pleased with our stay at The Connacht Hotel. Our Family Room was a very decent size, the staff very friendly, the swimming pool was lovely, my holistic treatment was perfect. The food was okay, with a decent children's menu. Kids' club looked great, although our children didn't partake. The hotel was busy and lively but felt relaxed at the same time. There were queues for breakfast - we had ours in our room on the second morning. All in all, we were very happy and would definitely stay there again. Staff were lovely and very accommodating. Was slightly disappointed with the 3:30 check in and 11:30 check out. You've hardly any time in the hotel at all. The rooms were small. We booked a family room, but what we got was a double room with a camp bed put in so it was cramped. It shouldn't be advertised as a family room when it's not a family room. The bar food was lovely and there was a good variety of food for breakfast. Finding the leisure club was fun, it's a good bit away and badly sign posted. There were two or three locked doors with leisure club written on them. We found it eventually. Pool was great size and kids loved it. Stayed in better hotels. I wouldn't go back. Room nice, staff extremely pleasant. Food very average. Unfortunately fire alarm went off in the middle of the night, but staff extremely apologetic the following day and offered to upgrade for next visit. Would definitely consider staying again, but would eat elsewhere. Great hotel, lovely rooms, leisure centre & great customer service. Lovely cocktail bar & also food is lovely. Reception staff are always so helpful & friendly. Have stayed many times and have requested late checkout and always accommodated -I have never had a complaint about the Connacht Hotel, I will be back again soon hopefully.